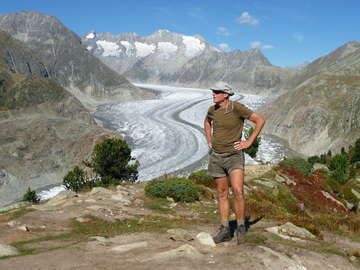 In the year 2010 I decided to walk along the Via-Alpina. The idea came up in me while I was ending my great hike from Amsterdam to Nice on the Gr5. 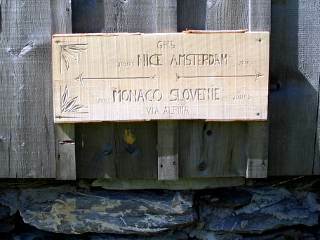 This little sign on a mountain farmhouse (Refuge Anterne) on the way put my attention on the Via Alpina. The Via Alpina (red route) is a very long hiking route that starts off near Trieste in the east and leads to Monaco in the West. The route is divided into 160 stages, each taking about a day to walk.